Trainer Shane Nichols is looking forward to getting I Am A Star back to the races at Flemington. 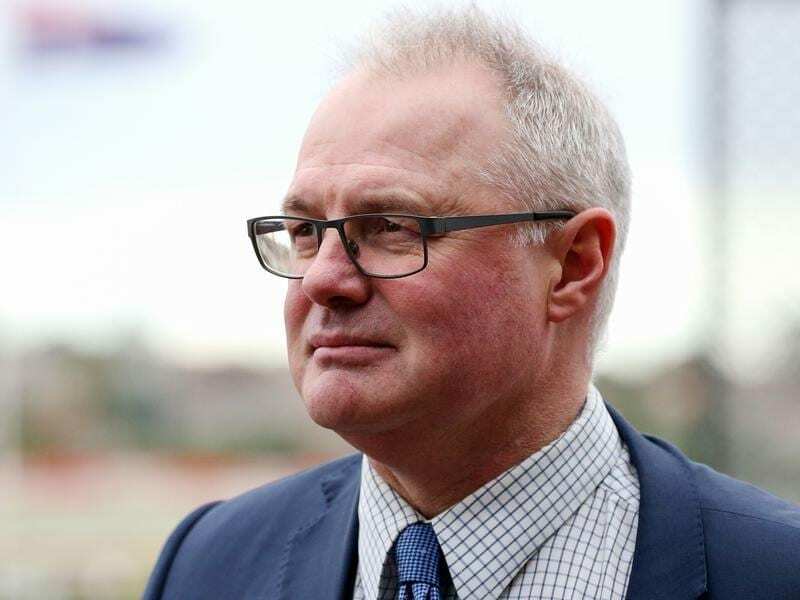 Group One winner I Am A Star is ready to make her first race appearance this year in the Aurie’s Star Handicap after impressing her trainer and jockey in a barrier trial at Cranbourne. I Am A Star has not raced since last spring, with a combination of issues forcing trainer Shane Nichols to abort the 2016 Group One Myer Classic winner’s autumn preparation. Nichols said I Am A Star had an active splint, some back pain, feet issues and some activity in a high suspensory but said the mare was over those issues after a good break. “I’m really happy,” Nichols said. The five-year-old had an 800m-trial on Monday and finished fifth, under little pressure, in a heat won by Ardrossan and which also featured Group One winners Shoals and Santa Ana Lane. I Am A Star was ridden by Mark Zahra for the first time and he will be aboard in Saturday’s Group Three Aurie’s Star (1200m) at Flemington. “That has topped her off beautifully,” Nichols said. “She had a nice blow and she’ll be A1 for Saturday. “When he (Zahra) got a bit of room she went up to them nicely under her own steam. Nichols believes I Am A Star is forward enough to run well, but said her handicap would be telling for her first-up chances. He believes I Am A Star will be peaking after a couple of runs back with the Group Two Stocks Stakes, which she won last year, again a target. The Toorak Handicap and Myer Classic are Group One race options later in spring. Godolphin import Home Of The Brave is one of the headline nominations, having impressed in two Sydney barrier trials ahead of his Australian debut. Home Of The Brave and the Darren Weir-trained Voodoo Lad are the highest rated horses among the entries which have been extended until Tuesday.